& loop products. 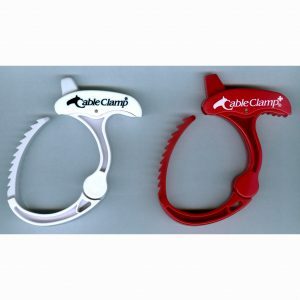 The Cable Clamp® is forever reusable and can be easily opened and closed with one hand utilizing its unique Quick Connect…Quick Release feature. 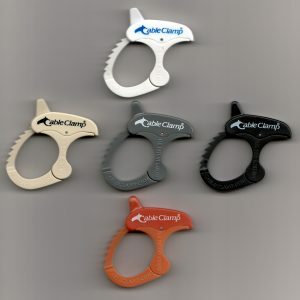 Constructed with durable polymers and stainless steel, it features self-aligning, self-adjusting, and self-locking technologies. Small Cable Clamps® are for up to 1” bundles. 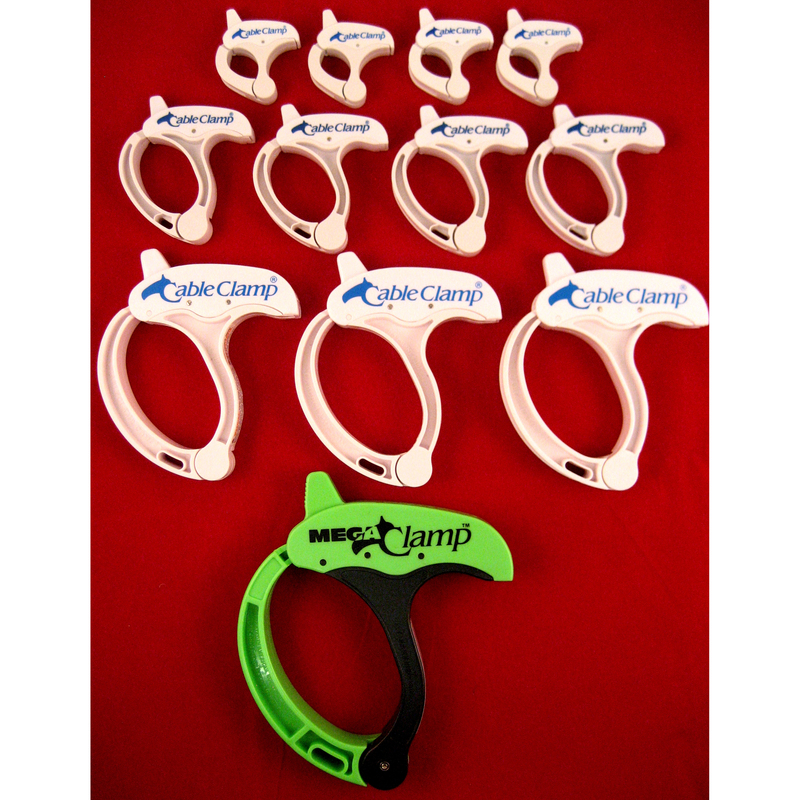 Medium Cable Clamps® are for up to 2” bundles. 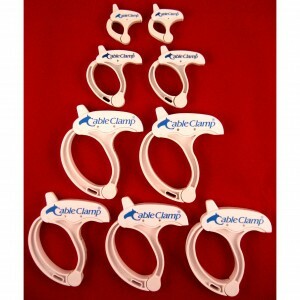 Large Cable Clamps® are for up to 3” bundles. 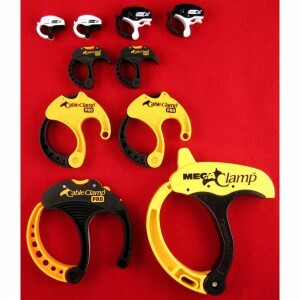 MEGA Clamps™ are for up to 4″ bundles. 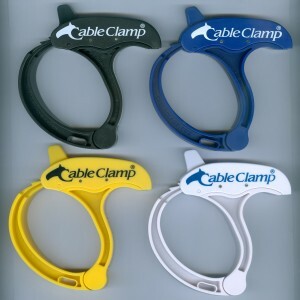 Tremendously useful in managing cords on laptops, computers, home entertainment cables, appliances in the kitchen and bath, power tools, and extension cords. 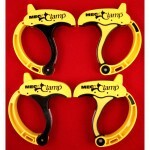 Pack includes 4 small, 4 medium, and 3 large Cable Clamps®, and 1 MEGA Clamp™.